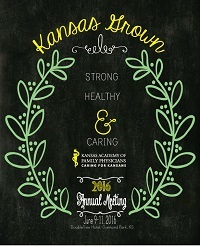 Mark your calendars for our most important meeting of the year: The KAFP Annual Meeting. It will be June 9-11 at the DoubleTree Hotel in Overland Park. The theme is Home Grown: Strong, Healthy & Caring. Please join us in planting seeds of greatness! We are currently accepting exhibitors and supporting opportunity applications for the meeting.